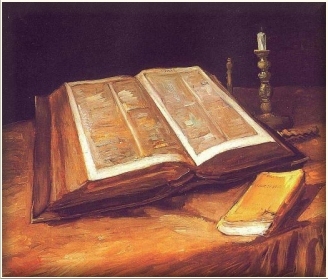 The books of reference used for this study of the book of Amos were the Bible, King James Version, called "The Companion Bible", Publisher Kregel; Strong's Exhaustive Concordance of the Bible, numbered to the Hebrew, Chaldee, and Greek, and English, coded to the Strong's Concordance numbers. Chapter 2 "The Wrath on Moab"
Chapter 3 "The Whole Family from Egypt"
"God has Known Israel [1-9]." "Israel, they Know Not [10-15]." "Judgments on (the kine of Bashan)." Chapter 5 "Lamentations on the House of Israel"
Chapter 6 "The Second Woe." Chapter 7 "Second Woe Continued, [Symbolism]." Chapter 8 "Famine in the Land"
Chapter 9 "The Shaking, Symbolic [1-4]."